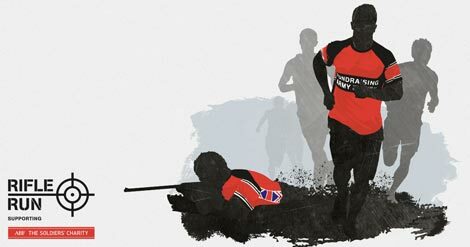 Rifle Run is the first civilian event of its kind – based on a military exercise called a march and shoot it combines three shooting challenges with a 10 kilometre cross country run. Be amongst the first to take it on – experience the adrenaline of a cross country race, combined with the thrill of shooting. Set the standard for future years and raise money for ABF The Soldiers' Charity, ensuring we can continue our work supporting soldiers, veterans and their families. Sign up now for just £95.